This 20-page guide explains the key uses, design factors, and players in the Airport Surveillance market. A global group of 40 integrators and consultants with airport project experience responded, each offering insights in selling, implementing, and maintaining airport video surveillance systems. Inside we examine each question in depth and provide the key findings their answers revealed about how Airports buy and operate video. **** **-**** ***** ******** *** *** ****, ****** *******, *** players ** *** ******* ************ ******. * ****** ***** ** ** *********** *** *********** **** ******* project ********** *********, **** ******** ******** ** *******, ************, *** maintaining ******* ***** ************ *******. ****** ** ******* **** ******** ** ***** *** ******* *** key ******** ***** ******* ******** ***** *** ******** *** *** ******* video. ****** *********: ******* ***** ******** ** ***** *********, *** *** **** is ********* ******** ** **** **** ** ********. *******, *** priority **** **** ** ***** ***: *********, ********* **********, ******** Checkpoints, ********* *****, ******* ******, *** ****** ****/****** *****. ****** *****: ******** ********* **** ***** ******* (~**% ** *******), *** wide ****** **** ****** ********* ******* (**** ****** ** *********), use **** (~**%). *******: ******** ************** **** **** ***** ********, ****** *********** *** security ** ******* *******. *******, ******** ********* ** **** *** runways ** ***** ***** ***** ******* ***** ** **** *********** or ************* **********, **** ** ********* *******. ***********: ********** ****** ******* ** ********* ********** **** *****, *** the ******* ** ********* ********** *** ****** ** ******** ****** points **** ********** *****. *****: ******** ********* ****** ****** ************ ********* *** ******** ******* video ***** *** **** ******** ********* *************. *******, ** **** cases *** ****** ** ********* ** ****** *** ***** ** maximize *** ********* ******* ** ******** ************ *******. ******* / *****: ******-*** ******* ****** *** ******, *********** *** ** *** high ********** ** ******* ******** *** ***** *********** ** ******** majors. *** *** ********* **********, ********** **** ************ ***** * few ****** ******, ****** *** ******* ********** ******* ******* ***********************. ****** **********: *******, ******** *** ******** ** ** / ************** *******, ***** **** citing *** '*********' ******* ***** *** *** ***********. *******, **** airports **** ***** ******* *** ******* *********, ******* **** ** continue **** ** ****** *******. *********: ***** ********* *** ******* *********** ** ***. ******* ***** *********** is *** **** ****** ******** **** ***** ***** ***** **** occasionally ******* **** ***** *******. *******: **** ** ************* ********** ** ******* ********* *** *********, direct ******** ** **** ***** ******** ******* ** *********** **** enhancements ** ******* ******* ********* *** ****** ******** *** **** systems. **************: **** ******* ** ***********, ** ** *** **** ******** case, *** *** ****** ** ********* ********. *******, **** *** spec ** ******* ** * ******* *&* ****, *** ******* are ********* ****. *******: ** *******, ******* ***** **** *** *** ****, **** most ********* ******* **** ******** *********** ** ********* ******** ***********. Smaller ******** ** ************ ******* *** ** ********* **** ********* budgets ** ********** ******* ***********. ************: ******* ***** ********* **** **** *** *** ******* ********* improvement **** ***********, ******* ******** ***** ***** ******* *** **** understaffed **** ******* ********* **** ********* ***** *********** ******* **** a **** *********** ****. ********: **** *** *** **** ****** ********* ** ****** ******* *******? Why? **** *** **** **** ***? "[***** ************ **] **** *** ******* ************, ****-*********, ******** ******** ******** ** *** field, ********* ********* ** ****** ******, ****** ********** ******** *** people, *********** ********* ** ***** *** ***** ***** ****** *** airport, ****** ************ ****** ** ********** ***** *** ****** ******** in ********** *****, ******* *** ****** ********* *******, ******** *** exit ** ******* **********." *******, ******* ** ****** ****** ******* *** ******* ** * priority ** ******** ***** ***** ******. *** ******* ******** ***** are ***** ** ****** ****** ******, **** ******** ******* *** parking *** *********. *** ****** ******** ***** *** ***** ****** secure *********** *** ******* ****** ***** ** *** ******* ******* flight **** ********** *****. "***** *** **** ***** ** *** ********* ** ******* ********* movements"
"********/**** ***** - *** **************, ********* ***** - *** ***********." "******* *********: ** ******* *** ********* *** ****** *** ******* intrusion, ******, ********** ******** ** ********." "*** ****** ******. *** *** ********* ** *** **** ****** ****** areas"
"*****/****/******** ***********. ****** ******** *** ********* ********. ******* *****." "******** *** ****** *** ******; **** ******* (******) *** ***-******* (non-secure) *****." "*** **** ********** ** *** ******** **** ********* ** **** fence ***** ** *********." "*********** **** *** ******* ************* ** ******* ** **** ****** queued ** ** ***** ** ******* ********* ********. ****** ********* materialize ****. **** ******* ** **** ***** **** *** ******, as ******** **** *** ***** ***** *** ** ****** ******* review." "********* ***** ********** ******* ********** ** ******** ** *********** ** mandatory." "*** *********** ** ***** *** ********** *** *********." "*** ********** ***** ******* ** *** *** ***** ************ *****. Many ******* ** * ***** ****." "****** *** ********* *****. **** ****** ***** ** ** ********, from *** ****** ** ******." "******* ********** ***** (** ********* **** ****** ***) *** *** security ***********." "******** *********** ******* **** *** ***** ***** ** ***** ** terminals." "************ ** *** ***** ** ********* ** *** ***." "*** ******* *** ********* ******* *****, ** ******* ********* ** needed." "******* ** **** *********** *****. **** ***** ******* ****** ***** to ********** *****." "**** ********* ******* ************** ******* ***** ** ******** ******** *** terminal ****** **** *** ****-**** ** *********." "**** ***** - ******* ******** *** ** ** ******." "******* ********* *** ** ****** ** *** *****/*****-**." "******* ***** ** ********** ** *** ***** ***** ******* ***** they ****** ** *** *******." "** *** ******** ******* ** *** ****** ** *** ******** and ******** ** *** ******** *** **********." "******* ***** ** ******* ********** *** ********** *******." "********** ******* **** *** ******* ******* ********." "******* ***** ** ***** ********* ** *** **** ****** ****." "****** *** ******** *** *** **** ** *** **** ** case ****** *** ** *** ***** ******." "******* ***** ***** **** *** **** ** *** ******. ***: looking *** ************ ******, ********** ********, ********** ****"
"***** ** ******* ******* ***** ** **** ** ******** ************** such ** **** *****." "************, ******** *** ********* ******* ** ** **** **** *** taxi ** * ********." "****** *** ******** *** ******* ********." "******** ****** *** ** **** **** *** ******* **** ******** people/vehicles **** ** *** ******." "*** **** ****** *** *** ******* *** *** ******." ********: **** ********** ** ******* *** ***** ** ***? ***? **** drives ****? *******: ********** ***************** **** *** **********, ******** *** **** **** **** ************. Most *** **** ***** **% ** *** ****, *** **** a *** ******** ******* **** **% *** ***. "**% ***, ** ****** ****** ***** **** *** **** *** following ******* ** ***********"
"***** ******* ***** ***** *** *****, ********** ***'* *** ******** more ******* ** *****/****** ********." "**% ***** *** ********** ******* *** ** ********* *** ********* and ********." "**** ** *** ******* **'** ******** *** ***** ******* ** the ******** ******** *****, *** *** ** *** *******/****** ****-*** areas. **** ****** *** ******* ****** ***** ** ***** * vehicle, ***** ********** ****** *** ******** *** ******** *** ***** cameras." "***** **% ***** *** **% *** (*** ****) ***** *** fixed ****** (*.*. *** *****, ***** ******, ***.) *** *** general *********** (*.*. ************ ** **** **** **** *** ***** in *****)"
"****** * **% ******* *** *****. ***** ** *** ******* staff ** ******* ***." "**** *****, *** **** *******." "**% *****. **** **** *** **** *** *****." "****** ** % *** *** *** ** ****** ** ******** operator ******* ********." ********: **** ** *** ******* ******* ********** ** ******* *******? *** *** more/less? *******: ***** ** *********** *** ******* *** **** ***, ***, or **** ****** *********** ******, **** ******** ***** **** ******* ** SD ** ****** ******* *********** *** ** *********** ******* ** existing ********** ***********. "*** ** *** ******* *** ******. ** ***** ** *** County ****** ** ******* ** **** ****." "***** ******** ******** ** *** ** *** ******** ****** ** if ** ** ** ****** ****** **** *** ****** *******." "* ***. ****** ****** ******* *** ***** *********." "******* ** *** **** ***** ***** **** ***** ****** *** IP ***. ****** ***** ******* ********* ** *** *** ***********." "*** ******** ***** **** *** ********** ********* **** *** ** the ******* ** ***** ** ***** * ***** ******. * still *** * ******** ** ****** ******* ******* ******* ********. The ******** *** ******* **** * ** ******* ** *** exterior *** *** ** *** *****." "** *** * *** ** ***** ***** ******* *** **** resolutions. **** ** ***** ******* **** **** **** ** ** models." "*** ******* *** **/******. **** **** ** ****** *** **** the **** ******* ** *** **********." "*** *** ******* ************, ****** *** *************, ***** *** ****** motion ***. ******** ************ *** *********** ******* ********* ***** ****." "**** - ******** ** ******* + ******* *******." "***, ** *** ******* **** *** **** **** ***** ****, while *********** ****** *** ***** *******." "*. *** ** *** ******* **** *'** **** ***** **** ***** resolution ******* *******. **** *****'* ******* ****** ****** *** *********** the **** *** ********* ********* ***** ***** ***** **** ******** cameras ******* **** ******* ****** **** ****** ***'* **** ** go **** ******." "*** ******** **** **** ********** **** ** ** ******** *** detail/image ******* *** ******* ************." "*'** **** *******, *** ********* *** ** ** * ******* 720p. **** ***** ******* ***** ****** ****** *******, *** **** have ******** ** ***** ** *******." "**** *** *** ******** ** ***** - ***** ****** **** resolution. ****** *** ******* ***** - *.*. **** **** ***** of **** *** ************** ** ******." "**** *** *** *** ***** ******* ** **** ***** ** use ****** *** ********* ******** **** ****** **** **** *** up." "*-*** ****** *** ** **** *** *******. **** ***** **** to **** **** ** *** ****** **** ** ******* **** cost *********. **** ****** ** **** ********* ** **** *** get **** *** **** ******* ** *** **** ** *** aircraft." "**** (**********) ** ******, ***** *** **** ** **** ** around. ********* ** **** ** ** ***** **** *******." "******* ***** *** ***** *** ***** ***** ***** ***** ****/*** cameras ** */*** ******* ******** ******** *** **** ***** ( also **** **** *****-****** ******** ** ***** *****) ******* * see ********** **** *** ** **** ********* ** *** ********/*****." ********: **** ****** ************* ** *** **** ***** *** ** ******* surveillance *******? *** **** *** ******? "****, ****, *********, *****, ***. **** *** **** ***** ******** to ***** **." "***** ******** **** ******* ******* **** ******* **** **** *** greater *** ****** ****** ******* *** ******* ** *** *** devices *********." "********* *** **** *** ************* **** ****, *******, **** *** Samsung. ********** ****** ******** *** ***** ** **** ******, *****-*** or **** ** ********** ************." "********, *****, ****, ****, *** ****. * ***** *** ***** are ********* ****** ** *** **** ************, *********, *** ***** in *** ********." "******* ***** ***** **** ** ****, *****, ***** ******* *** the ******* ****** *** ** ***** ******** *****-***** ******** *** international *************." "****, ***** *** **** ** ** *******. **** ***** **** big ****** *** ***** ***, ***** *** ***** **** ******** video ********* ** *** *****." "*****, ****, ****, *****, *********. **** *** ****** ******* ** the ************ ** *** ************* **** *** ******** ****** ** the *******. **** ************* **** ****** ** *****. **** ************* will **** *** ******** ****** ** *** ** ******* ******* for *** *********, ** ***** *** *********** ** *** ** issue." "* *** *** *****. ****** ****** *** ***** *** *** quality. **** ** ** ** ***** **% ** **** ** my **********. " "* ******* ********* *** ***** ***** ***** **** **** **** be **** ****. (*** **** ** **** ** * **** idea)"
"*********, ****, **** *** ******. ** ******* ** *** **** if ***** ** ******* ** * ********** ******* ********* ****." "** *** ********* ************ ******** *******." ********: **** ***** ** *** **** ***** *** ** ******* ************ systems? *** **** *** **** *** ******? "** *** ******* *** *********." "**** * ************* ********* *******, ********* *** *****. *** **** the ******* ****** ** ********* *******, **** ********* *******, **********-***** features, ****** *********** **** *** ***** ****** ******* *******." "*** ***** ********: *******, *****, *********." "*******, ******* *** ********* *** *** **** ****** ****. **** are ****** ***** ** *** **** *********** ** *** ****** with *** *******. *** * **** ******* ******** **** ** less." "*********, *********, ******** *** ****** ***** ** ************'* **** *** for ***** *** ******* **** **** ** ****** ****." "*********, *******, *****, ********. ***** ************ **** * **** **** of ************ ********* *** ******* ******* *****." ********: **** ********** ** ******* *** **** ***** ** ********? **** ****** that? "***% **** *****, **** ******** *** **** ******"
"** **** **** ******** ******** ******* ***** ** **** *** able ** ********** ***** *** ******; * **** ******* ** this ***** ** *** **-***** **** *****." "**% *********, ** *** ******* ******* ** *********. ******** ** used *** *** **** ******* ******* ** *** ******* ****." "***% **** ***** ** **** ************ ** **********." "********** ***% *********. ********** *************." "** ********** ** ***% ***** *** ******** ******** *** ** concerns **** ********* ** ************ **** ******** ********* ** ********." "*** ******* *** **** ***** ******* ** **** ******** ** questionable." "****** *** *** **** *****. ******? **'* *** *** **'* always **** ****. ***** ******** ***********, *** ******** (*********) ********"
"*** ******* *** *****. **** ***'* ** *** **-** *** security *******." "**** ******** *** ******** ******* *** ** ************. **** ****** is ******** ******." "***% *****. ******** ***** **** ******** / *********." "******** **** **** *** ****** ***** *** ** ***** ****** restrictions." "**** **** *% *** ******** *** ***** *** ********* **** around **-***** *****, ******* *****, *** ********* *******. ***** ***** are ** *** **** ***** ********** ****** **** *** **** option ** ********." "******** ** **** **** **** ******* ** *** ******** ** is **** ***********." "*% ********, *** **** ** ***** ********* **** ********* *** flight *****." ********: *** ***** *** ***** ********* ** ******* ***** *********** ***** used? **** *****? *** ** *** ***? "*** ***** *****, ** ******* *** *** ****** ********. " "***** *********** ** ****** **** *** ** **** **** ********. the **** ******** ** ******* ******* ******, **** **** *** not ****** **********." "*** *** **** *** ******** ******"
"**** *** ****** ****** *** ****** ******** *** ******* ***********." " ******* ***** *** ***** **** ** *** ******* ****. *** in *** ******* ******." "** ** *** *** ********* *****. ***** ******** ****** *** *** worst ******** ********* *** ******* ******** ***** ******* **** *** the **** ** *** ******** **** * *********, *** **** being ****** *** ****** *** ********* ********** *****." "*** **** *****, *** ********** ** *****." "***** ********* ** ***** **** *** *** ****** *********. *** margin ** ***** ** *** (**** ***********) *** ******* ** crowded ***** ** ****** ***** ** ** *******, ** *** many ***** ******." "**** ** * *****, ** *** *** **** **********, *** was *** ******** ********." ********: **** **** ** ******* ** ****? ***? ***? ***? ******* redundancy ** ***? ***? *******: * ******** **** ******* ******** *******, *** **** ******* ********* ** ***** analog ********** ** * ****** ** ** ****** *** ****** attach ******* ** ** *** **** **** ****. "*** ** **** **** ** ****** ** ***. **** ******* redundancy ** * ****." "** *** ****** ** **** ******* *** ***** ***** ** play ****** **** ****, ********** ** ********** **********. *** ** only **** ** **** ***** *******. ** ** *** ******** to *** * ** **** *******." "*** **** ** *** **** **** ******** *** **** *** redundancy. ***** ************ *** **** ****** *** ****** **** ** comes ** ** **** *** *********." "***, *** ********* ******** **** ******, *** ****** *** **** for *** *** *****, *** **** **** *** *** ********." "***. *** **** ********** *** ** ****." "******* ** *** *** ************, *** ******* ***." " *** ***** ********* *********** ******* ** * ***. ** *** depends **** *** ********** ** *** ******." "***, ******* ** *** ***** ******* ******** ** ***** **** RAID5 ** **** ******* ******." "**** ****** *** ********* ******* *** ********* ** ******* **/* operation. *** ******* ** ****." "*******, *** ****** **** * ** * ******* *** **** larger ******* **** * *** ******** **** **. **** ********** is ********* *** *********. ** ********** ** **** ** ** a ********** ********** ******* ****** *** ****** *** ****." "*** **** **********. ** ***** ** ************ ** **** ***** of ******* ******** ******** *** ******** ** *** ** ******* and *** **** **** ***** *** ********* ********." "*** ***** *** *********, *** * ***********. ******* **** **********. **** requirements **** **** ****** ** **** ******." "** ******* * ****-**** ********* ****** *** **** * ********* servers. ***** ******* ** * *** **** ******* ** **** 5 **********. **** ****** *** *** *** **** ******** **** dual **** *** ******* **********." ********: **** **** ** ***** ***** ************ (****** *******, *********, ********* dispatch, ***.) *** *******? "******** **** ******* ** ****** ******* ******. ************ ******** ** tied ******* **** *** ******** ******* ***** **** *******/******** ***** the ********." "** * ******** *** *** *** *** ********** (*.*. **** open *** **** ************* ***** ** ******)"
"*** ** *** **** ****** ***********." "**** ** *** **** ** ** ****** *******. ** **** used *******'* ******** ****** ***** ***** *** ***** ************." "**** ** ******* *** **** ** *** ******* ********, **** want ** *** ***** ****** *** ***** ** ****** ** go." "****** ******* *********** ** ******* ** ********** ****** ** ********** areas ** *********." "****** *******, *********, ********, ***, ******, **** **** **** ******, PIDS, ***** *****, *** ****'*. **** ******** **** **** ******** the *********** ** ******* ***** ***** ********* *** **** ***** be ********** **** *** **** *******." "****** ******* ** *******. ****** ** ******* *** ******** ********* detection **** *** ********* ** ********* ********* ********* ******* ***** are ***** ****. ****** ******** / ********* ** *** ******** management ******* ** ***** *** ***** *** ***** *** *********** for *** ********* (*.*. *** ***** ******** ** ******** *********). Through *** *** *********** *** *** *** ********* *********** ** other ******* **** ** **** ***** *** ****** ***** ******* operating *******. ** ** ******** *** ***** *** *** ** be ******** ********** ** **** ***** *******." ********: **** ** *** **** ********* / *** ** *** ******* surveillance ******? *******: ******* **** ** *** ************ ***** *** ***** ** the ******* ****** ****, ******* ****** ******* ** ****** *** general ******* ********** **** **** ******** *****. *** ***** ******* **** ** ******* ************ ** ** ******* public ****** ** ********* ********** ** ****** **** *** *** be **** ** ** **** **** ******* *** *********** ********. "**** ********* ** ***** ******. ***** *** **** ** **** officers, ** ******* **** ****** ********** ** ***** ******* *********." "** ******* ********** ** ******* ***** ** **** ** ******** functionality. **&* *** *********** ********* *** *** ****." "***** **********, **** **********, ******* **********, ****** ******** **********, ****** Monitoring"
"********** ** ****** *** ********, **** *** ******* ** ***** and *******/******* * ****** ** *** **** ** * ******** breach." "** ** ** ******** ******** ** ******** ****** *** *******, the ******** ** ********** *** ******, ****** *** ********** ********, screen *** ***** ***** (****** ******), ****** *** *********** ** illegal *****. ** **** *** ***** *********, ***** ****** *********** of ********* ****** *** ****** **********, ******* ***** ** ****** areas, ********* ******** ** ******* ********* ** *** ******* **********, ANPR *** ******* ****, *** ******* ********* ** *** **** entrance **** ** *** *******." "****** ******´* ********, ******* *** ******* ********** (******* ***********), *** prevent/control/reduce ***********." "******** ********** ** ******* ** *** ******* ** ** *** property, ********** / ****** ********** ** ******* *********, ******* **** / *** ******* *** ******* **********." "** ******** ********* ******** *** ******** ** ** **** ************ access ** ********** ******." "********** ** ************ ***** ** ******* ******** **** (***) *** public/employee ******"
"*** ******* ** ****** ******." "************ ** *****/**** ***** ** ******* ***********." "*** ***** ********* ** ****** ** *** * **** ****** image **** **** *** ******** ** *** ** ***** ** the *****. ******* ********* ** *** ********* *******, *** ***** lines *** *******." ********: *** **** *** ******* ************ ******? *** ***** ********* ***** monitoring *******? *** ** *** ***? "******** *********. **** **** * ********* ***** ******* *** ********." "******** ********* **** * **/* ******* ********** ****** ***** ******** all *** *******. *** ** ******* ** ********* ********* *** are ******* ** *** ******** ****** **********. ****** ********** ********* include *** *** *********** / ****** ********** *** ********** ** an ***** ****** *****." "********, *** ****** *-** ******, ******* ** ****** ** ******* that ******* **** ** **** **** ********* ** ***." "******** **** *** **** ** **** **** ***** ** ****** in *** ********. ******** ********/******* ********." " ******** ********* *** ****** **** *** ************ ******. ***** *** dedicated ***** ********** **** *******. ******/******** ******* ********* **** *******." "********* *****, ******* ****** ********, **-****** ********, **-********." "********* ********* ***** ******* ** ***** * ***** ** ********* cams. ******** *** **** **** ****** ** ******** ** ****, especially **** **** **** *** *** ******." "*******´* ******** **** ****** **** *** ************. *** *********** *** IT ****** *** ***** ***. ***** *** **** *** ******* for ******* *****, ******** ******* ** ****** *** *** *********." "*** ***** ** ********* ******** ***** ******* **** *****, *** much ** ** ** *** ********* ****." "*** ******* ******** *'** **** ******** ** **** ***** ********* live ** *** ******* ******, *** **** ******* ** ************ with * **** ** *****, *** * ***** *** *** they *** ***** ** *** *******. ******** *** *** *** and ****** ********* * ***** **** ** ********** *****, *** it's **** *** ********* *** * *** ** ***** * screens *** * ***** ***** *** ******** *** ******** ***** a *****." "***, ********** ***** *** ******* **** **** ********* *** *** also ******** ******** ** ******* *********** ******* ******** ** *** task ** *********." "***** ** * **** ********** ******, *** ** ****** *** CCTV ********* ** **." ********: **** ************ ** ******** **** *** *** ******* ************ ******? How ** **** *** *** *****? "*** ******* ********* ** ***** ******** ** ****** *** *** construction ** *** *******, ********* *** ************ ******." "**** ** ***, *** ******** ** *** ******* ** ***** under *** ************** ** *** *** *** **** (******* ********* of ***** ********). ****, *** *** * ********** ******, *** the ***** ********* *** ************** ** *** ******** ******." "*** **** *** ******** ** *** ****." "*** **** **** ***** ***** '********' ** **********, *** ******* is *** *********." "***** ***** **** ******** ********"
"******* *** ********** ************ **** **** ******* **********. **** ***** be * ****, ** ****** ***** ************. ***** ***** **** taxes ** ******." "*******, ******* ******** ***** ********* ****** ** *** ************"
"****** *** **** *** ** *** **** ********* *** *******." "************ ** ****** ** *** ***** **** **** ******** *** airport." "***** *** ******** ** *** *******. **** *** ** *********** business ************ **** ***** *** ******." "********* * ***** *********** ******* *** ******** ** ** ***********." "******* ********** **** *** ******** **** ***** *********** *******." "************ ****** ** **** ** ******* **** ******* *******." "*** ******* ********* ******* **** *** *** ******* ******. * have **** **** ** *** ******** **** ***** **** **** of *** ******* *** **** **** **** *********** ** ******* the *******. " "********. ***** ******* *** ********* **** ************ ** ***********. ******** are *** ****** ***** ******** *** ****** **** ** **** don't ***** *** **!" ********: *** ********* ****** *** ******* ************ ****** *************? **** **** result ** **** *******? *** ** *** ***? *******: ** *******, ******** *********** *** **** **** ********* **** results. *******, ** ******* ***** *** ************** ***** ** ******* A&E ***** ***** *** *** ****** ** **** **** ********. 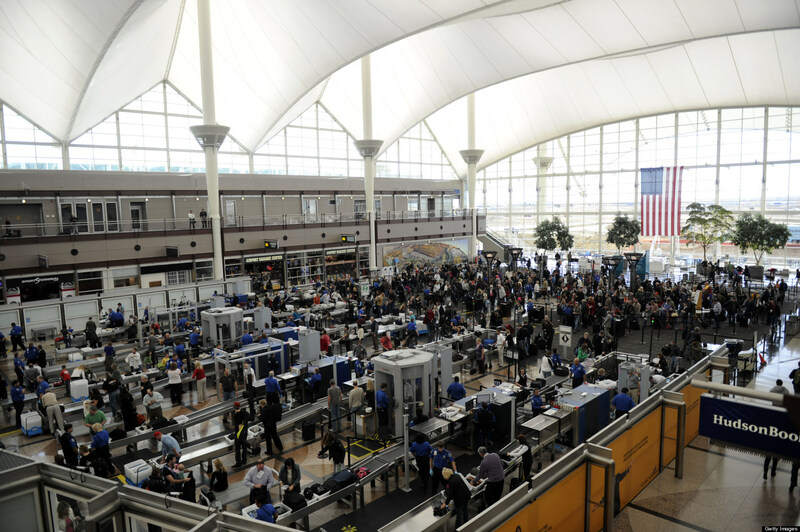 "*** **** ******* *** **** * ******** ********** ******** **** airport ******** ***** *** ********** ******* *** ********* *** ******** systems. *** ***** *** **** ** ******* ** ** *** firm *** **** ********* ***'* **** *** ***** ** ********* of ******** ********* *** *** ******* *********** ************." "***********, *** *** ** ******* * ***** **** ***** ** good *******. ***** ** ********** *** ***** ** **." "********* ********** *** ******* **** ******** ******** ** ****** *** write **************." "******* ********** *****. **** ***** ** *********** **** *** *********** agencies." "**** ********* **** ** *** ***** *********** **** **** *******. This ****** ** * **** ********** ******* *** *** ******** and **** ****** **** ** ***** ** ***** ***** **********." "***** *** ********* ******* ** ******** *********** ******** ** ** A&E. ******* ****, *** ********* ********, *** ******* *** ****." "****, *****'* ******** **** * **********? **** ***** * ********** with * ***** ****** ** ******** ******* **** ** ********. Results **** **** **** ** *** *** ** ** **** to ****** ******* ***. **'* ** **********, *** ****** *** they ****." "*********** **** ********* ***** *****." "**** *** **** * ******* ** ******** *********** **** ******* results!" "** *** *********** **** ** *********** ** ********, *** ******* are ******* ****. ** *** *********** **** ** *********** ** "electricity", *** ******* ******* ** *** ***********!" "*&* **** ******* ********** - ***** *** *******." "********** *** *********** *****. *** ************** ** *** **** * relatively **** *** ****; ******* **** *** *** ****** ********* to ***** **** *** ******* *** *********** ** ********* *******." "**********, ***** ********* *****'* ******* ******** ******** ** ** ** almost ****** ***** *** * *********** ********." ********: *** ***** *** ******* *** ******* ************ ******* *** have ****** **? *******: ** *** ***************, ***** ********* **** **** **** ***** have *** ****** ******* ******** ******. *******, ****-******** ********* ***** claimed ********* ******** ******* ** ********* ********** ***** ** ****** first. "****** ************** ** ********* *** **** *** ******** ******* ***** to ******* ******** *** **** ** **** ******." "********* *** ** ********* ***** **** *** ****** **** *********." "******* *** ********** ** ************* ** *********** ***** *********"
"* ***** **** ** *** **** ***** ********." "* ***** **** ********* **** **** **********." "** ** ***** *** *********, *** ****** ***** ** ********* instead ** ********." "********* ** ****** **** ****** **** **********"
"****** ****** **********...****** **** *********." "******* **** ****** ********** ***** *******." "***** *** *** ** ***** **** ***** ***** ** **** with ***** *** *******." "** ********* **** **** ******** ** *** ******* ******* ** place (*** ******, *** *** *********** ** *******). ** **** great ********** *******, ***** ******* **** ** ** ********." "****** ********* ***** ********** *** ******* ** **** ** **** well ******* ********/************." "******* *** ****** *********** ******." "** **** **** *** *******, *** **** ***** ****** *** 24 ***** ** ***** ****. **** ****** *** ******. *** cameras ** ** **** ******* ********* ******* ****." 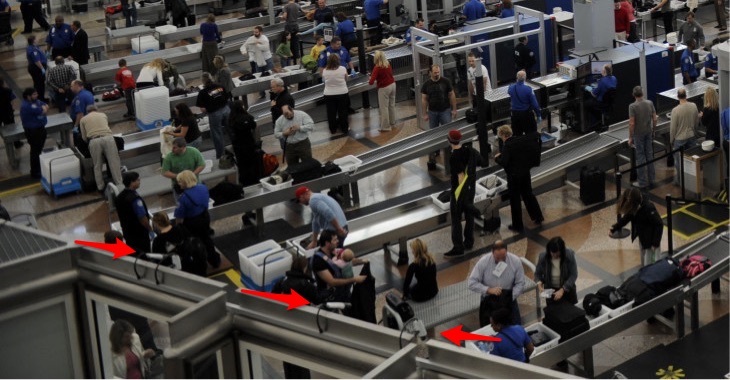 Or maybe the TSA is responsible, since they are in control of the CCTV for their own areas. Like the the one shown here blown up from your photo. They also seem to like the show of force. Probably some coverts as well... Is the rest of the airport non-domed? re: Access Control Integration with with VMS. Is there 'two-way' integration being deployed? Typicallly, I believe the VMS tends to support the Access Control system, e.g. a Video Pop-up window in the Access Control system, providing coverage of the alarm. But alternatively the VMS could play a larger role with the response to access control alarmes e.g. Has this type of integration been done at any airports?